Skegness Town Council is preparing a plan for the future of the town and would love to know your views on a variety of subjects. A powerful tool to ensure the community gets the right types of development, in the right place. Local people can create a plan that allows them to develop planning policies that reflect the priorities of their area and have real legal weight. A neighbourhood plan is an important document with real legal force. Earlier this year Skegness Town Council ran a consultation asking the people of Skegness their views on aspects of Skegness to help inform the proposed future Skegness Neighbourhood Development Plan. Skegness will continue to be a thriving coastal town, expanding upon its well established tourism and leisure offer, with an increasingly diverse economy. The town will be a desirable place for the families to live and prosper and attract visitors throughout the year. The next stage of the Neighbourhood Development Plan is to engage with the public on the draft vision and objectives. We will be holding a public consultation event in The Hildreds Shopping Centre Skegness on Friday 11th January and Saturday 12th January starting at 10.30am through to the afternoon. We would like to discuss the draft vision and objectives proposal and receive your feedback. Alternatively, the proposals can be viewed in the stage 3 report below. Please have a read through the report and give us your feedback by filling in a short questionnaire. 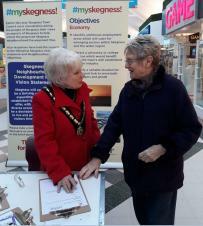 The consultation was a success at The Hildreds Shopping Centre on 11th and 12th January 2019. Many residents came to speak to us and to fill in a questionnaire. The results of this consultation can be found in the report below. Skegness Town Council engaged with the public to find out what you, the residents, think of the town. What things you love, and what needs improvement. This consultation process started on social media where numerous questions had been asked and many comments received on the Facebook group 'My Skegness Chat Group'. 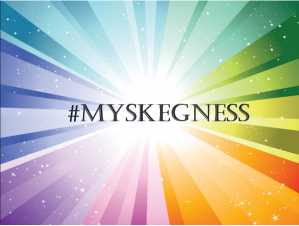 Also, by using the #myskegness page on twitter and instagram with weekly photography competitions highlighting the beauty of our town. A 'Pop-Up' event took place on Thursday 2nd November 2017 in The Hildreds Centre from 11am to 2pm. There, Councillors and members from the Natter Matters team were available to discuss the plan and to hear your views. Following the public consultation, a report was prepared. The report explains the public consultation process and summarises the responses received. The report also details issues identified that could be dealt with through a Neighbourhood Development Plan and includes a town profile of Skegness. To view the report in full please see below.